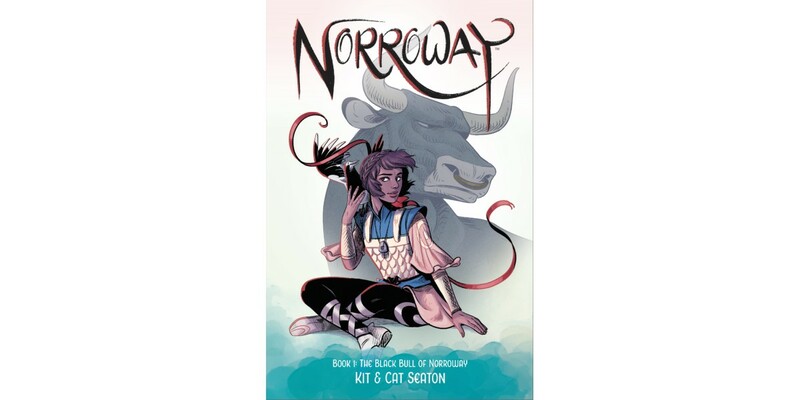 This November, sibling writer/artist duo Cat Seaton and Kit Seaton (AFAR) team up for NORROWAY, BOOK 1: THE BLACK BULL OF NORROWAY, the first in an original graphic novel series based on the Scottish tale of the same name. Sibylla had always craved adventure, but she never guessed it would show up at her door in the form of a giant, magical bull. Who knew a prophecy could be so literal? NORROWAY, BOOK 1: THE BLACK BULL OF NORROWAY (ISBN: 978-1-5343-0855-8) hits comic shops on Wednesday, November 7th and bookstores on Tuesday, November 11th. It’s available for preorder via Amazon, Barnes & Noble, Books-A-Million, Indiebound, and Indigo.